Stephanie represents her clients in litigation and transactional work, including, Criminal Defense, Estate Planning and Civil Litigation. 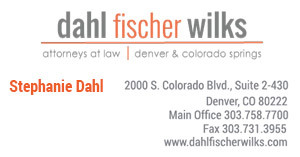 As a founding and managing partner with Dahl Fischer & Wilks, she focuses on effectively advocating and counseling her clients through the entire legal process. 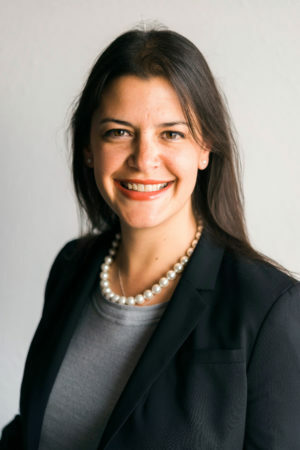 Her practice includes criminal defense and civil litigation. She has a background in both civil and criminal law and understands how, at times, they can intertwine with one another. She has handled numerous jury trials, civil and criminal, misdemeanor and felony, countless motions hearings and court trials. In addition, she is experienced in advising and assisting clients with all of their estate planning needs. She approaches all estates with a full service approach; to ensure the estate plans created for her clients protect their assets and are consistent with the financial plan established by clients’ other professionals.